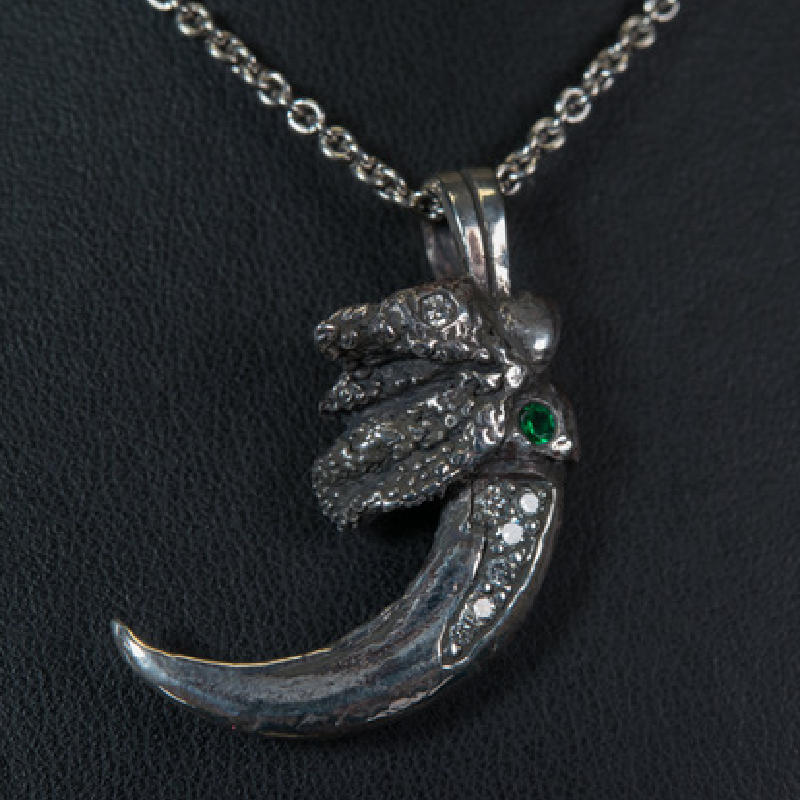 Sterling Silver custom small eagle claw that has 7 white diamonds and 1 emerald in silver. 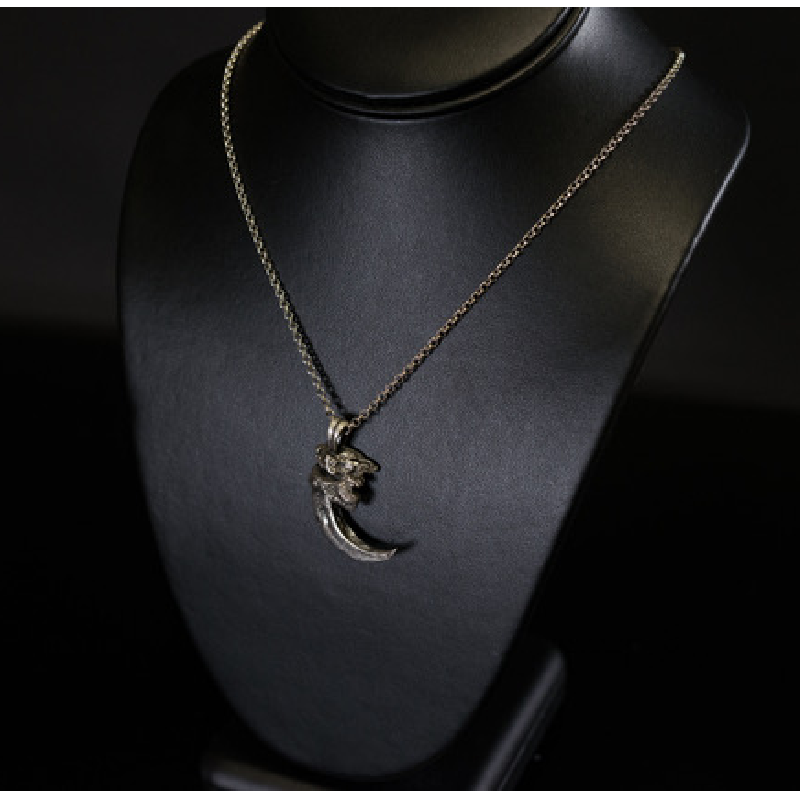 The back of the pendant features a “GA” engraved. *This item will be sent UPS insured mail. Please allow 2-3 weeks for shipping. International orders may require additional shipping charge and will be contacted if necessary.